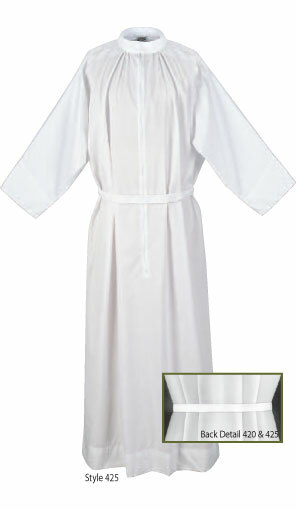 Made up of 65% Polyester and 35% Cotton, this Alb features a Standup Collar with 30" Zipper and adjustable Velcro Belt. Refer to Size Chart in "Image 2" and Select your Size. Machine Washable. Dryer Safe. Iron on Low Heat.